RESCHEDULED! 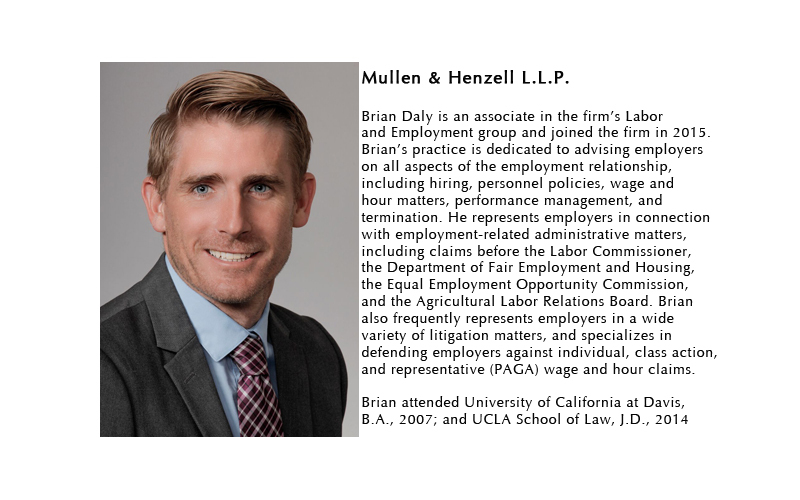 2019 Employment Law Conference - APRIL 18, 2019 - Mullen & Henzell, L.L.P. 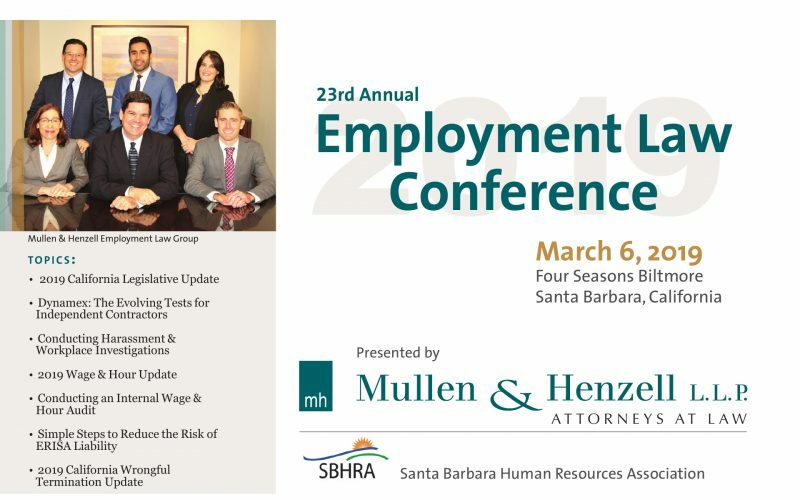 DUE TO A MANDATORY EVACUATION ORDER ISSUED MARCH 5th THAT INCLUDES THE FOUR SEASONS BILTMORE IN MONTECITO, THE 2019 EMPLOYMENT LAW CONFERENCE HAS BEEN POSTPONED TO THURSDAY APRIL 18, 2019. 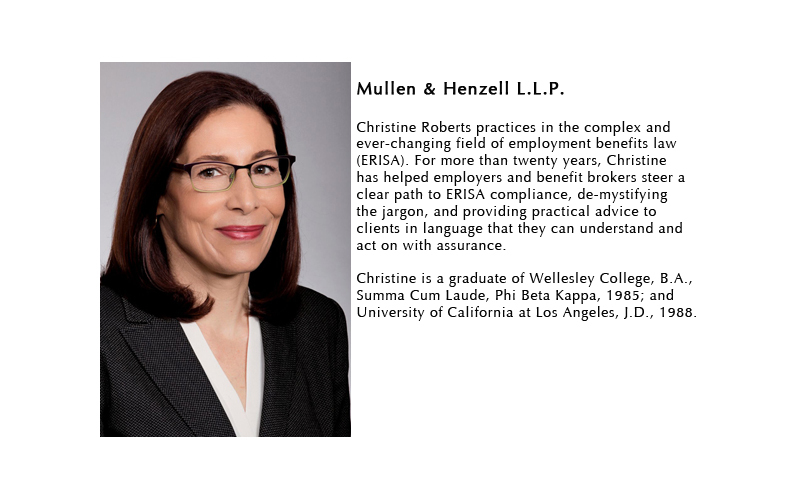 Mullen & Henzell L.L.P., will present the 23rd Employment Law Conference in conjunction with the Santa Barbara Human Resources Association at the Four Seasons Resort The Biltmore Santa Barbara on Thursday April 18, 2019. 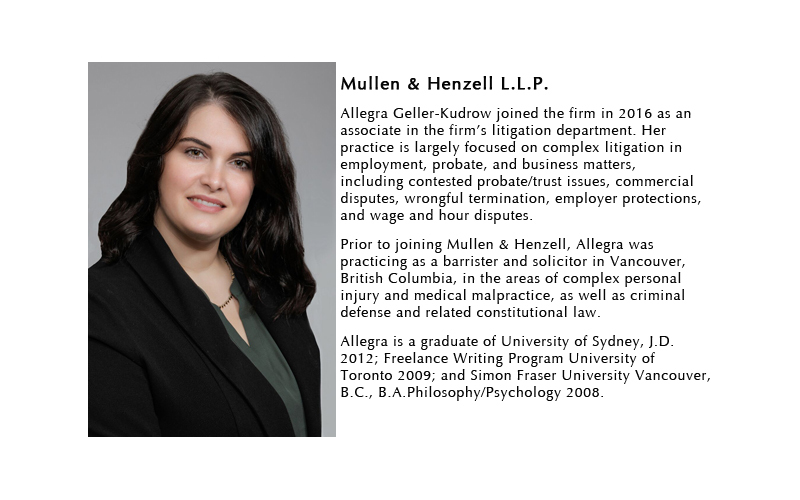 • No more confidentiality clauses in sexual harassment settlement agreements? • Class action and PAGA update – cause for hope? 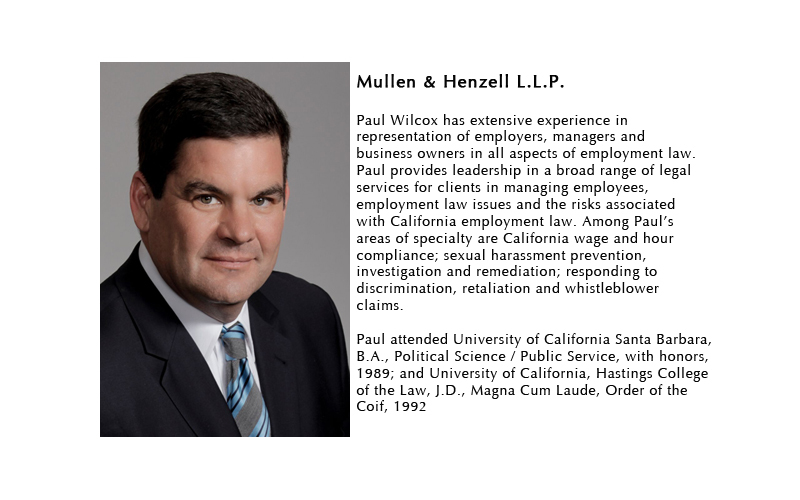 Mullen & Henzell L.L.P., is a full service law firm. 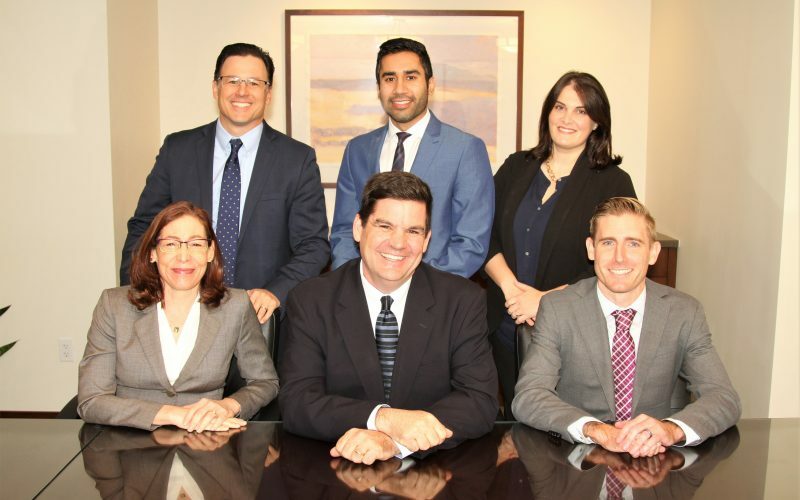 We offer the Central Coast’s premier employment law group, as well as expertise in business transactions, estate planning, and civil litigation. The Santa Barbara Human Resource Association is a professional association formed to provide leadership and support for the growth and development of our community’s human resource professionals and the organizations they serve.